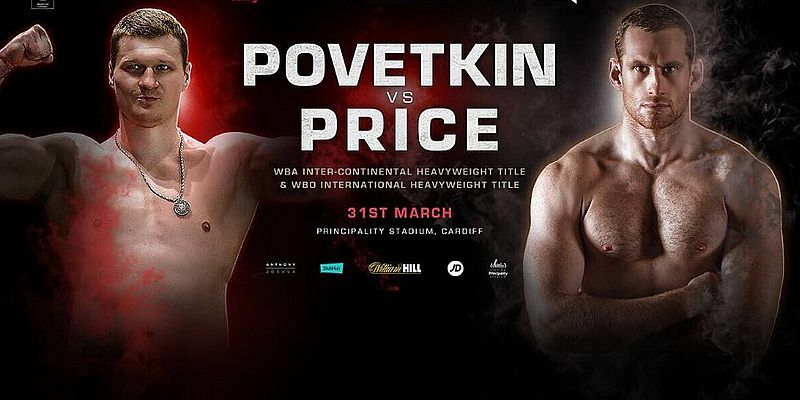 Their is an action packed card this Saturday in Cardiff so I thought it was worth a separate article to run through the match ups earlier on in the night. It’s a good idea to tune in early as Matchroom have set up another fantastic night of boxing. If you saw the Whyte v Browne card last Saturday at the O2 you’ll know what I’m on about. Click here to get a look at the main event. I think deep down everyone knows the outcome here. A lot of people have expressed deep concern for David Price as Povetkin is on another level to anything he has faced before. The Russian looks set for a shot at the winner of the main event as he is currently the WBA mandatory challenger and I don’t believe him and his team would risk that status if he thought there was any chance of him losing. David Price has been knocked out 4 times in his career and has failed at two attempts to claim a European title. It’s a great opportunity for Price as he will get a shot at a world title if he was to pull this off and he says he is there to cause on upset. His only chance would be if at 38 Povetkin has lost some of his speed and power and is guilty of looking too far past Price at the potential fight with Joshua. I think Povetkin will know what he needs to do against Price and he will be focussed on keeping the mandatory challenger status. He only has one loss on his record which came against Wladamir Klitchsko. I dont see anything but a Povetkin knockout win. Josh Kelly is hoping to win the vacant WBA International Welterweight title to set up a homecoming event in Newcastle in June. He has become the rising star in the North West a long with Lewis Ritson who won in impressive fashion last weekend. This is only Kelly‘s 6th professional fight and he is taking on a former world titleholder in Molina. However, Molina has dropped off the world scene and it looks like a very strategic move from Kelly’s team. A win against a declining former world champion would elevate Kelly to the next level which is what I expect him to do. Northern Irishman, Ryan Burnett, will defend his Bantamweight world title against a Venezuelan challenger in Yonfrez Parejo. This is the challengers first attempt at a world title but with two defeats already on his record from interim fights I think the unbeaten Burnett will be too much for Parejo. Ive got Burnett to defend his title by unanimous decision. Fan favourite Anthony Crolla is hoping to put on a show and get the win in style as he sets his sights on becoming a two time world champion. It will be a tough test against Ramirez who after a couple of losses at the start of his career has not lost in his last 18 fights. Crolla recently lost two fights to world champion Linares but bounced back with a good win against Ricky Burns. I’m again going for the Brit to win by unanimous decision.